Spirometric testing also known as Pulmonary Function testing measures how well you are breathing. 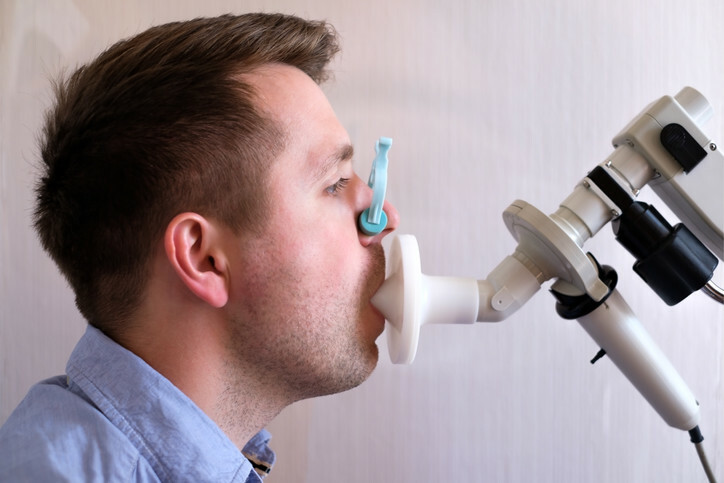 Spirometry testing is a simple test to measure how much (volume) and how fast (flow) you can move air into and out of your lungs. Through routine Spirometry, lung diseases and can often be identified in the early stages. Under the direction of our Medical Director this test is suited for employers in various industries including but not limited to heavy industrial plants, factories, grain terminals, manufacturing, and various workplaces where employees are exposed to dust, gases and other air contaminants. Upon completion of the test, employees are provided a copy of their individual and confidential test result. Records are retained on file.